This introduction to EM Weekly is just that, an introduction to the program. We are building a community of individuals that are here to help each other be the best at our job that we can be. We have a resources page, the book club page, the Volunteer Spotlight, and more. We have brought in experts in communications, technology, leadership, and emergency management. We also have authors and keynote speakers. 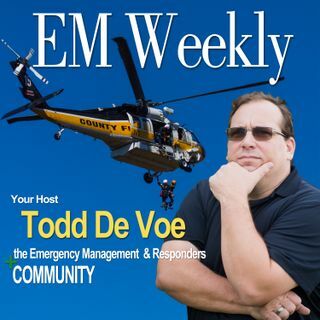 This podcast is everything in emergency management, public safety, and disaster volunteers. I know that you will enjoy this podcast, and the E magazine that we are producing. Thank you so much for being part of this community and help grow. I’m looking forward to hearing from you and please let me know what you think about this podcast and future podcasts that EM Weekly will be producing.